The US-backed Afghan government has lost control of a number of districts to the Taliban, while casualties among security forces have reached record levels, a US watchdog agency has said. “The control of Afghanistan’s districts, population, and territory overall became more contested this quarter,” the agency said in its report. Data from Afghanistan’s NATO-led Resolute Support mission showed that government forces had “failed to gain greater control or influence over districts, population, and territory this quarter”, the agency said. However, it reported that only 55.5 percent of the total 407 districts were under government control or influence – the lowest level since SIGAR began tracking district control in 2015. 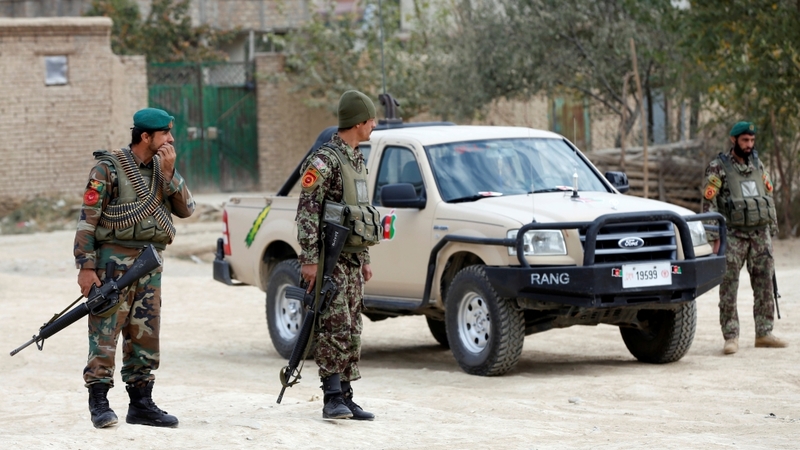 “While the districts, territory, and population under insurgent control or influence also decreased slightly, the districts, territory, and population ‘contested’ – meaning under neither Afghan government nor insurgent control or influence – increased,” it said. Six months before presidential elections, the figures are a sign of the degraded security situation in Afghanistan, even as the US special envoy, Zalmay Khalilzad, has met Taliban officials to map out possible peace talks. As the Taliban have kept up pressure on the government, SIGAR quoted the Resolute Support mission as saying the average number of casualties among Afghan security forces between May 1 and October 1 was “the greatest it has ever been during like periods”. The Afghan government no longer releases exact casualty figures but this month General Joseph Votel, head of US Central Command, said Afghan casualties were increasing from last year and were an issue “we are paying very, very close attention to”. The United Nations Assistance Mission in Afghanistan (UNAMA), which has documented civilian casualties in Afghanistan since 2009, said in its latest October report that there were 8,050 civilian casualties during the first nine months of the year, including 313 deaths and 336 injuries caused by US and Afghan air attacks. The Taliban, who were removed from power by US-led forces in 2001, has been waging a bloody armed rebellion to defeat the Western-backed government in Kabul.